There are a various types of vehicles in the world! But there are more interesting cars that make the rounds in Japan! 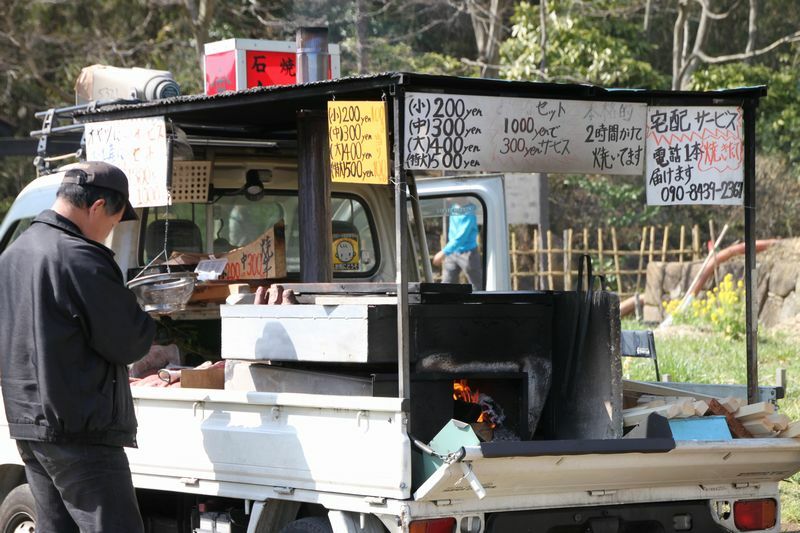 During the colder seasons, baked potato vendors comb the streets announcing, “Ishiya～kiimo～” (sweet potato baked in coal). The potatoes are roasted in the back of the truck. Visitors are usually surprised the car drives the streets while carrying an open fire in the back! 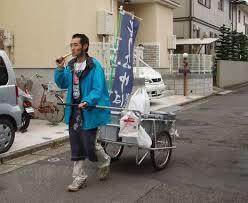 Tofu vendors used to pull a cart in the old days but recently they sell tofu out of their trucks. The trucks drive slowly through the residential area while sounding “Pi～Pu～” and a melody with a specialized musical instrument. The Japanese recognize the tofu maker just by this sound! ・A bamboo pole shop. A wastepaper recycling shop. The bamboo pole is sold to dry laundry. 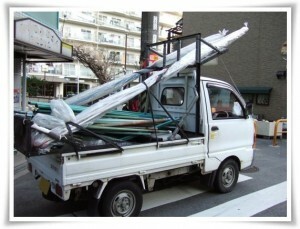 There is a truck selling new poles and collecting old poles. 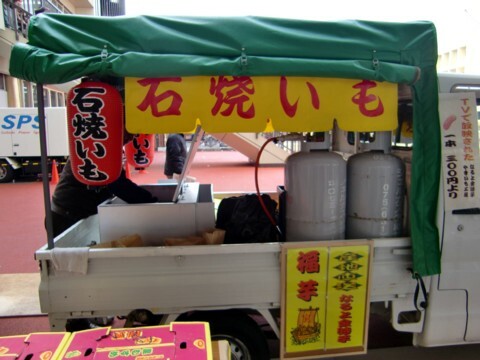 This truck drives announcing, “Saoya – Saodake …”. 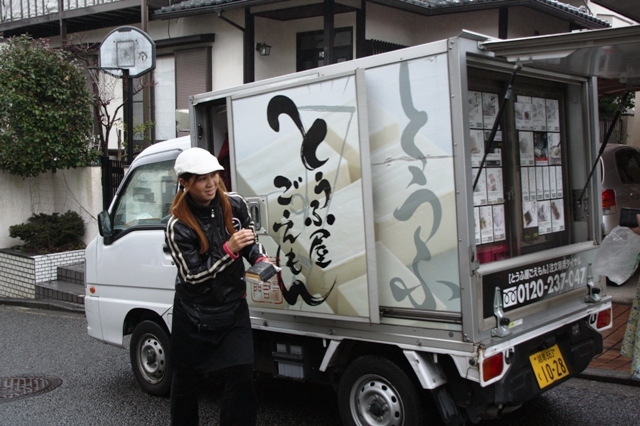 The wastepaper truck goes around collecting old newspaper and magazines, cardboard. They exchange your unwanted recyclables (paper) with tissue and toilet paper. The unique aspect of these vendors are the many sounds it emits! There are various vendors with varying melodies and announcements that have remained unchanged over the years. The Japanese only need to hear the sound to know who is coming around. If you are interested in hearing more, you can search for these on YouTube!